As Jesus prepared to leave His disciples, He told them that they would proclaim the good news of the gospel of Christ, throughout the world. They were to become His witnesses, in Jerusalem, in all Judea, throughout Samaria, and to the uttermost parts of the earth. 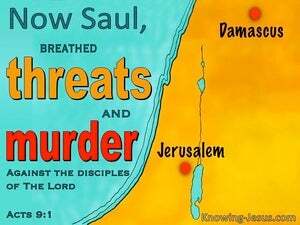 Who could have been a more deeply religious man than Saul of Tarsus? And yet his fervent zeal was counter to the will of God. Who could have been a more passionate hater of Jesus of Nazareth than this Pharisee? 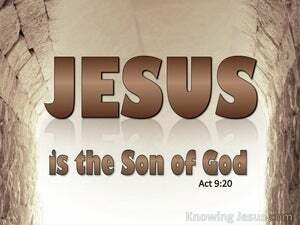 Yet he became Christ's most ardent admirer, worshipping the Lord Jesus in grateful reverence and submitting to the Nazarene as His bond-servant. 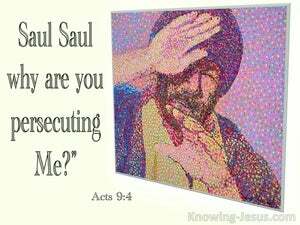 Saul of Tarsus was a deeply religious man and passionate about his service to God and yet his work for God was in direct opposition to God. 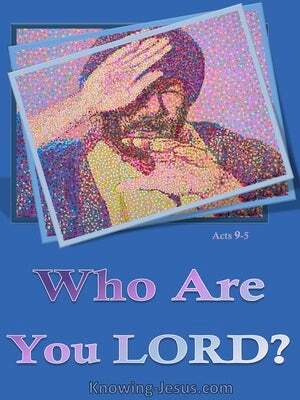 Despite Saul's fervent zeal to work the works of God, he was suddenly brought face to face with the reality of Who God was - and it demolished all his preconceived understanding about God and shattered his long-held, pious religiosity. Paul is a beautiful picture of the body of Christ, which is made up of Jew and Gentile believers - for Paul was a Jew by birth and a Hebrew of the Hebrews. He was of the nation of Israel.. of the tribe of Benjamin and was tutored extensively in the Hebrew Scriptures.